621 runners have played down to a final 9. Good luck to Alex! Spoke to him a few times over at a couple of GPS events and the goliath. 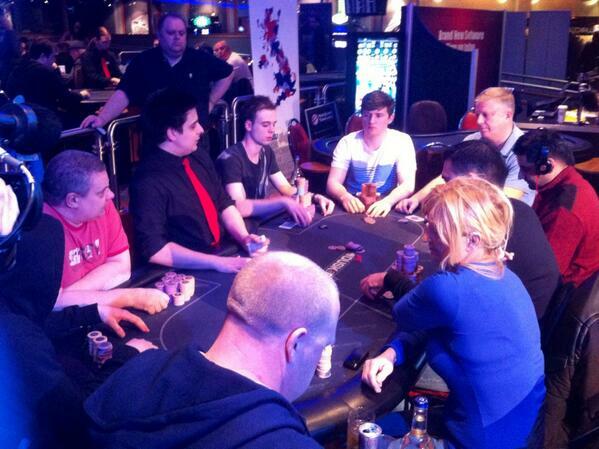 He also knocked me out on the bubble of my first ever live tournament at DTD. Sad that i remember that! Great updates over the past few days Tighty. For me, its like the Krypton Factor* obstacle course. I look forward to seeing myself dodging cameras on the telly! *1980s ITV intellectual game show. No speedboats for the winners. My favourite to win it all is C Chatta, top player and a real gentleman though whoever wins it looks like being a great final.